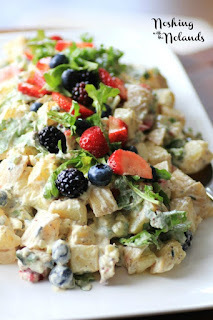 Cookistry: Some of the BEST potato salads on the web! Some of the BEST potato salads on the web! 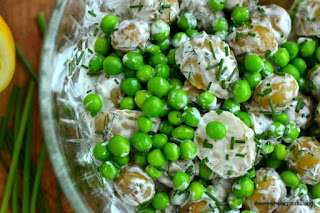 I totally LOVE potato salad, but I have to say that I'm not stuck on one recipe - I love experimenting and I love trying new recipes. 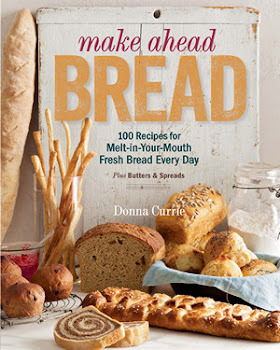 Writing recipe roundups for Parade Magazine's online Community Table has given me incentive to go find a whole lot of interesting recipes. I was intrigued by them, and I thought I'd share just a few of them with you here. 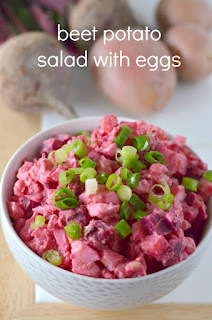 For the rest, go check out the full post, 17 Potato Salads that Walk on the Weird Side - in a Good Way. 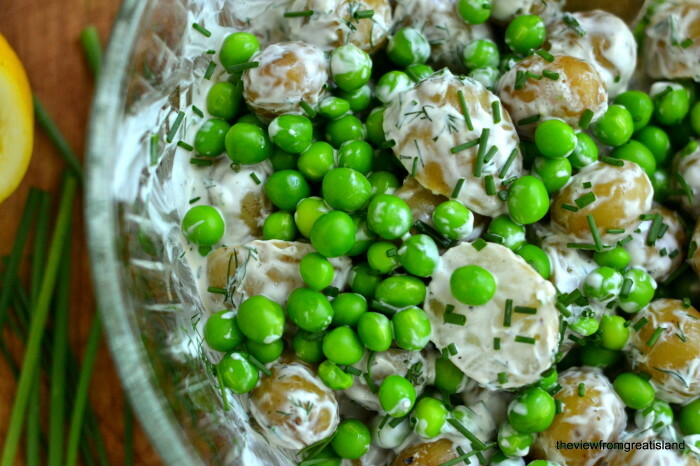 It's pretty easy being green when you add the fresh pop of sweet peas to potato salad. Berries? In potato salad? Why, yes, that's exactly what you'll find here. This potato salad won't be hard to find when you're filling your plate at the potluck barbecue. Beets add brilliant color to this salad. 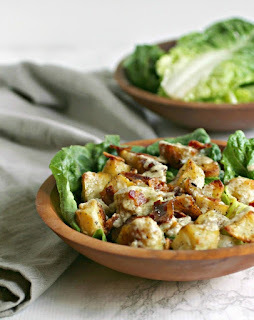 Is it potato salad or Caesar salad? Does it matter? It sure isn't that white glop that your crazy aunt always brings in that beat-up Cool Whip container. 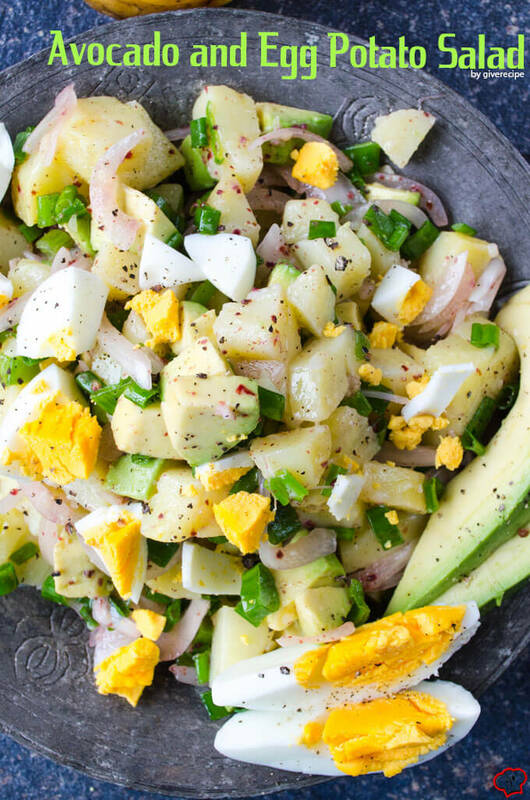 Why didn't we think of adding avocado to potato salad before this? Why? Why? 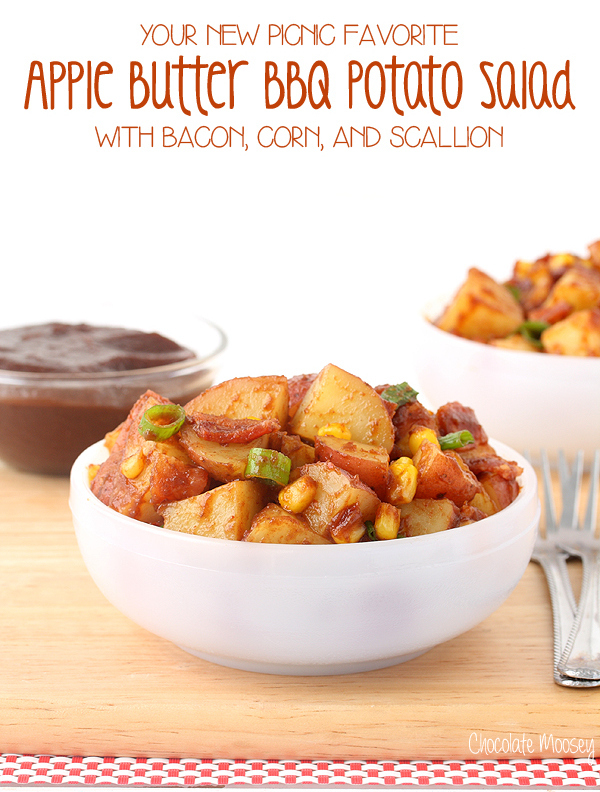 Apple butter barbecue sauce on a potato salad with bacon and corn. What's not to love? 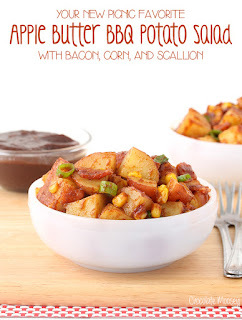 I've just given you a taste - go check out the full post with all 17 potato salads!